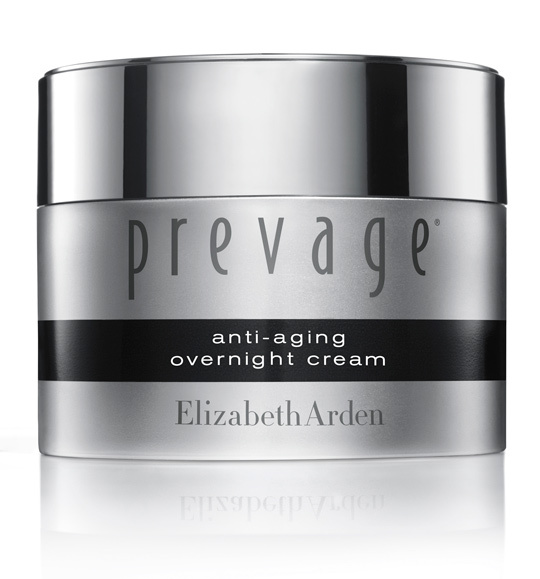 Committed to delivering skin’s best defense against environmental signs of aging, Elizabeth Arden proudly introduces PREVAGE® Anti-aging Treatment Boosting Cleanser. This anti-aging treatment cleanser provides a multi-dimensional deep cleansing experience while helping to enhance the efficacy of the PREVAGE® skincare regimen. Leveraging the brand’s 100 years of product innovation, scientific research, and hands-on spa experience, PREVAGE® Anti-aging Treatment Boosting Cleanser couples Idebenone antioxidant technology with three levels of cleansing power to prepare skin to receive maximum anti-aging benefits. Environmental threats produce an abundance of free radicals that can cause oxidative stress, which results in signs of accelerated skin aging. 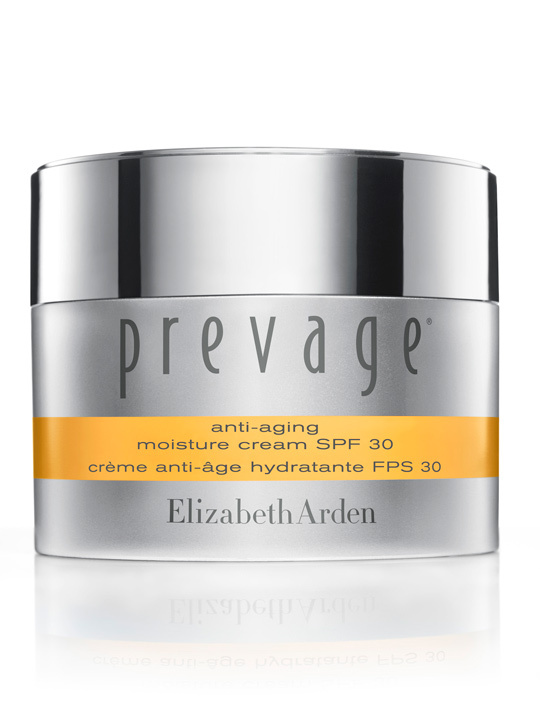 With the addition of a targeted cleanser to the PREVAGE® product range, Elizabeth Arden now offers its first 360° anti-aging treatment regimen to combat skin-damaging environmental assaults for a youthful, radiant, and healthy looking complexion. Utilizing a unique three-dimensional approach to cleansing, PREVAGE® Anti-aging Treatment Boosting Cleanser’s creamy, light-foaming formula removes impurities, eliminates dead skin cells and refines skin’s appearance for a refreshing, radiant glow. Surfactant System: an effective and mild foaming wash cleanses dirt and impurities from the skin’s surface. Mechanical & Enzymatic Exfoliation: a combination of active enzyme and natural bamboo beads removes dead skin and promotes cell renewal to reveal beautifully smooth skin. Detoxiquin: a mushroom extract and hexapeptide complex that purify skin cells, supporting its natural exfoliation and leaving skin more receptive to further treatments. 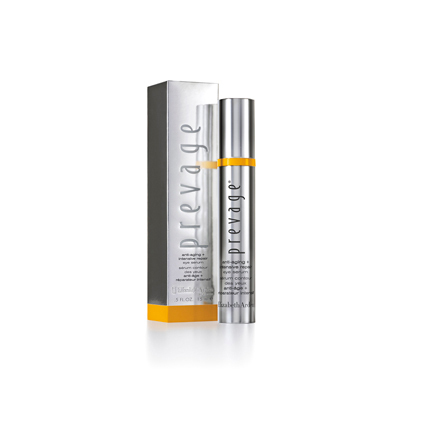 PREVAGE® Anti-aging Treatment Boosting Cleanser is proven to improve the efficacy of your skincare regimen. 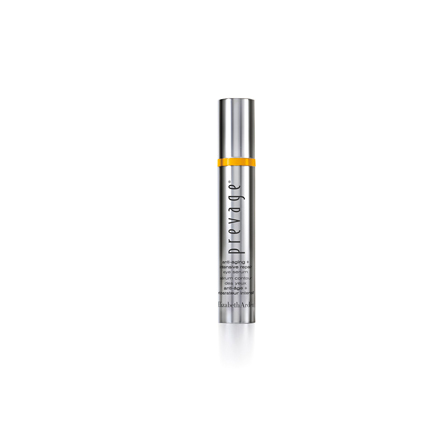 When used in tandem with PREVAGE® Anti-aging + Intensive Repair Daily Serum, efficacy was boosted significantly. * After just 2 weeks, 94% of women saw an improvement in skin radiance and texture and 75% of women saw an improvement in the appearance of lines and wrinkles.† This cleanser is suitable for all skin types. Idebenone‡: the single most powerful antioxidant* with an EPF® rating of 95 out of 100, it provides skin with the maximum protection from environmental assaults. Bamboo Beads: this gentle exfoliator provides skin with a natural, mechanical exfoliation, gently sloughing away dead skin cells for a beautifully smooth complexion. Mushroom Extract: this antioxidant works in tandem with Idebenone to help protect skin from environmental free radical damage. Enzyme Exfoliant: this active enzyme eliminates dead skin cells to smooth skin’s surface and support natural cell renewal. Shea Butter & Glycerin: this emollients and humectant blend imparts skin with long lasting moisture. Availability: Beginning October 2013 at Shoppers Drug Mart and November 2013 at Hudson’s Bay, Sears, and London Drugs (in Canada). 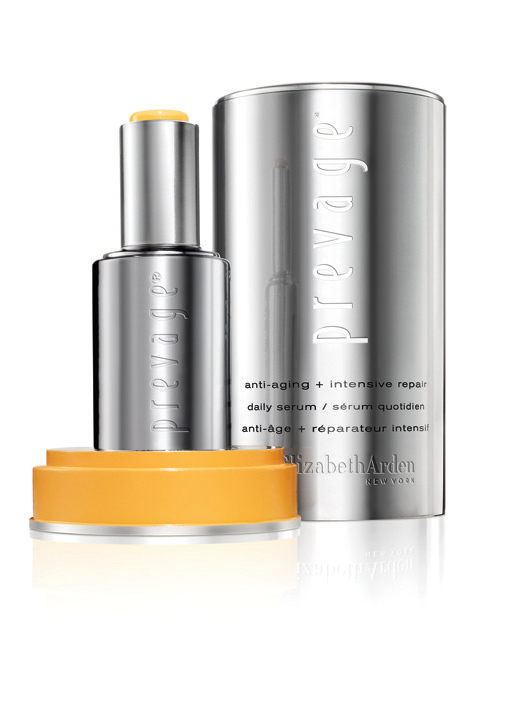 Committed to delivering skin’s best protection against environmental signs of aging, Elizabeth Arden proudly introduces PREVAGE® Anti-aging + Intensive Repair Eye Serum. Leveraging the brand’s 100 years of product innovation, scientific research, and hands-on spa experience, this anti-aging eye treatment helps to reduce severe signs of skin aging, especially the look of deep lines and crepiness that affect the delicate eye area in just one use*. Eyes look more lifted with a beautifully firm appearance. Scientists have proven that exposure to smoke, pollution and other irritants can accelerate skin aging twice as fast†. These types of environmental threats produce free radicals that can cause chronic inflammation at skin’s cellular level. The result is an increase in the appearance of wrinkles and age spots and a breakdown of collagen and elastin. 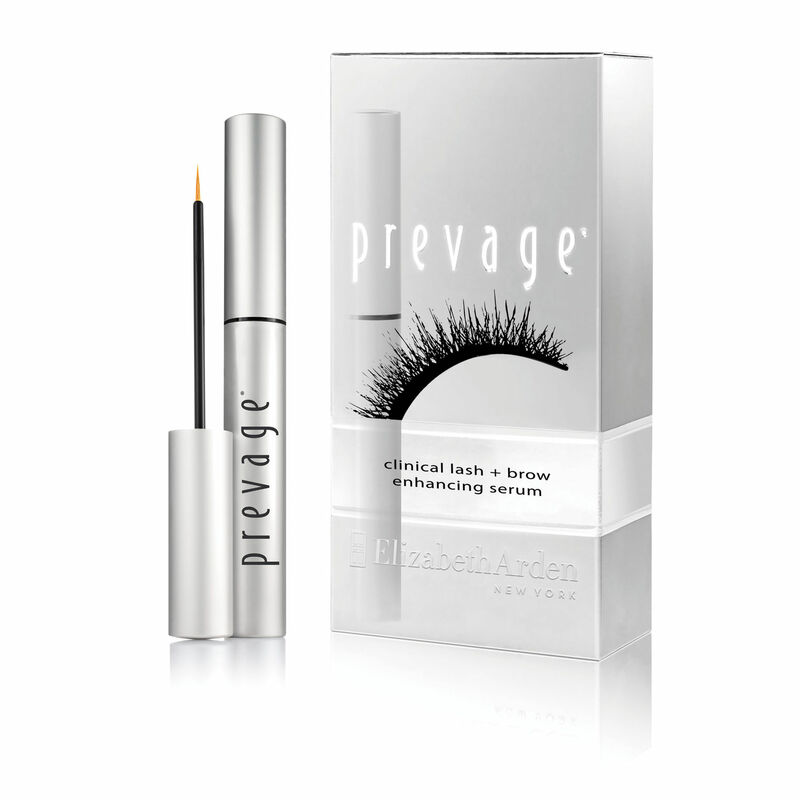 To reduce the impact of environmental assaults and visible signs of aging resulting from chronic inflammation around the eyes, Elizabeth Arden has harnessed the power and science behind their PREVAGE® Anti-Aging + Intensive Repair Daily Serum into an equally efficacious formula that specifically targets the eye area. 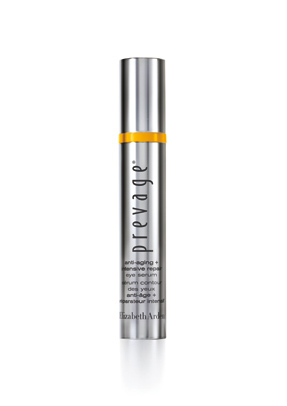 New PREVAGE® Anti-aging + Intensive Repair Eye Serum combines Elizabeth Arden’s exclusive Idebenone technology, the single most powerful antioxidant‡, with a blend of Arazine™ and Thiotaine. Arazine™ soothes skin and helps to reduce signs of aging caused by inflammation. Thiotaine is another effective antioxidant that complements Idebenone in protecting skin from free radical damage due to environmental assaults, allowing Idebenone to concentrate on repairing the look of signs of aging. By helping to protect skin from oxidative stress, Idebenone not only shields skin from environmental assaults, it also helps to support skin’s natural repair process and restore a youthful appearance. This powerful serum helps restore radiance and refine the look of the natural contours around the eyes. Elizabeth Arden Research & Development has discovered that the combination of Idebenone with Arazine™ helps neutralize 95% of environmental free radicals and minimizes the visible effects of cellular inflammation, the primary cause of signs of aging§. PREVAGE® scientists have also advanced the methodology to measure the efficacy of their antioxidant blend, Idebenone, Arazine™ and Thiotaine. Known as Environmental Protection Factor™ (EPF®)**, this series of tests has now been expanded to not just include antioxidant efficacy but also signs of aging caused by chronic inflammation. When tested under this rigorous methodology, the blend of Idebenone, Arazine ™, and Thiotaine used in PREVAGE® Anti-aging + Intensive Repair Eye Serum scored 174 out of 180, demonstrating a stronger efficacy than the other common antioxidants tested including Alpha Lipoic Acid, Kinetin, Vitamin C, Vitamin E, Coenzyme Q10, Green Tea and Ferulic Acid. * Based on a US home consumer test on 104 women aged 25-65 and a US clinical test on 16 women after 15 minutes. ‡ When Compared to Alpha Lipoic Acid, Kinetin, Vitamin C, Vitamin E and Coenzyme Q10. § Based on in-vitro testing. Idebenone, Arazine™ and Thiotaine are a blend that neutralize and protect against free radical damage. Moisture Trap Technology is a complex of hyaluronic acid, barley and sea plant extracts that works to help lock in moisture, plumping and smoothing skin’s texture upon application. Optical Diffusers and Soft Focus Silicones deliver a soft focus effect to scatter light and diminish the appearance of fine lines and wrinkles for immediate bright and luminous skin. Idebenone, Arazine™ and Thiotaine are a blend that continue to help improve the visible signs of aging caused by free radical damage and cellular inflammation over time. Vitamin B3, Masterwort and Ash Tree Bark Extracts reduce the look of puffiness and dark circles, and increase skin radiance. Results: PREVAGE® Anti-aging + Intensive Repair Eye Serum is clinically proven to immediately reveal younger looking skin after just one use.†† Results increased significantly through continued use of the serum as well as when it was coupled with PREVAGE®Anti-aging + Intensive Repair Daily Serum. Directions: New PREVAGE® Anti-aging + Intensive Repair Eye Serum is housed in a unique silver, cylindrical package that features an airless pump dispenser. To apply, push the pump down once to dispense a small amount of product onto your fingertips. The dispensed amount will be enough to use around both eyes. Using ring finger, gently smooth on brow bone, upper eyelid and around eye area, concentrating on crow’s feet, 2 times daily after Prevage® Daily Serums. For enhanced benefits, apply PREVAGE® Anti-aging Eye Cream Sunscreen SPF15 on top of the serum for added protection when used in the morning. When used in the evening, the serum can be used alone. Availability: Beginning November 2013 at Hudson’s Bay and December 2013 at Shoppers Drug Mart, Sears, and London Drugs.